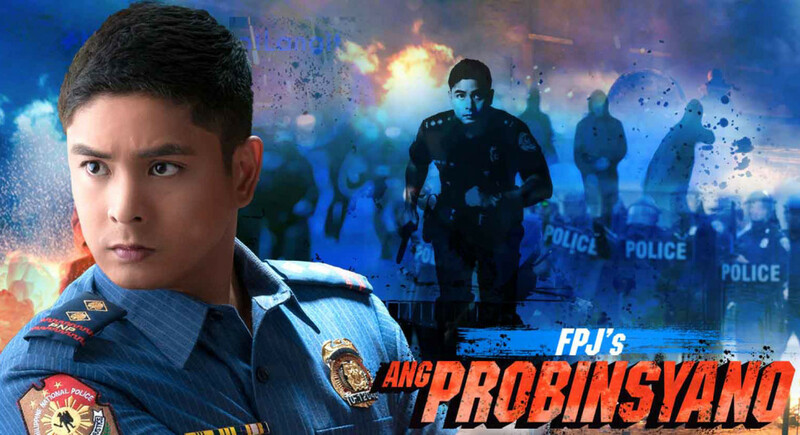 MANILA, Philippines - Viewers nationwide tuned in to the pilot episode of the TV adaptation of “Ang Probinsyano” topbilled by the King of Primetime Teleserye, Coco Martin, as it recorded a national TV rating of 41.6%, or 25 points higher than that of its rival program “Marimar” on GMA with only 16.3%, according to data from Kantar Media. The premiere episode, which shot to the top spot of the most watched programs nationwide, showed the emotional, physical, and mental struggles Ador (Coco Martin) went through in the academy that showed his commitment to his chosen profession. The TV adaptation of the classic Fernando Poe Jr. film also gained positive comments from netizens online that the official hashtag #AngProbinsyanoSimula sa Twitter trended worldwide on Twitter. Also topping the ratings game Monday night were programs of ABS-CBN Primetime Bida, which also featured the premiere of “Tonight with Boy Abunda” hosted by King of Talk Boy Abunda. The Kathryn Bernardo and Daniel Padilla-starrer “Pangako Sa ‘Yo” also continued to dominate its timeslot with a national TV rating of 34.3%, 19 points higher than that of its rival “Beautiful Strangers” (14.9%). “On the Wings of Love,” topbilled by Nadine Lustre and James Reid, also won with 21.4% versus “My Faithful Husband’s” 12.6%. When it comes to news, more viewers relied on “TV Patrol” that hit a national TV rating of 32.3%, a strong 14-point lead over “24 Oras” (18.1%). “Pasion de Amor,” meanwhile, also continues to heat up primetime with a national TV rating of 26.3%, versus “Starstruck’s” 11%.